Senate Bill 1167, sponsored by Sen. Paul Boyer, R-Glendale, would narrow an existing Arizona law that bars anyone who the government works with from participating in a boycott of Israel. The law, passed in 2016, was recently blocked in federal court after a judge ruled it is likely unconstitutional on First Amendment grounds. The original version of the law applied to anyone who got a government contract, and required them to agree to not participate in a boycott, divest and sanction action against Israel, commonly referred to as BDS. Boyer’s legislation would restrict that law to government contractors with more than 10 employees, and would only be triggered if the contract is for at least $100,000. “It is absolutely inhumane how my family is treated in the Middle East,” Rep. Athena Salman, D-Tempe, said through tears Monday afternoon while the floor debated the bill. Salman told the story of her Palestinian father, who in the 1970s was detained on his way to school by Israeli military forces. Some of her family still lives in the area, she said. House Majority Leader Warren Petersen, R-Gilbert, accused Democratic opponents of the bill of being anti-Semites. He wrote on Twitter during the debate of SB1167 that it was “amazing” there was “anti-sematism (sic) being spewed on the house (sic) floor” by his Democratic colleagues. The anti-sematism being spewed on the house floor by democrats on SB1167 is amazing. Sorry Dems but Government contracts should not be used to discriminate against Israel. Rep. Tony Rivero, R-Peoria, said the bill with its amendments would bring the law into compliance, a point that Democratic legislators contested. Leslie also noted that the new bill, if enacted, could make the legal challenge against the current law moot, as the issues raised by the person suing the state would be gone. The plaintiff in that case would not meet the criteria under Boyer’s legislation. The current law applies to sole proprietors, so someone who is contracted to do legal services for a state entity is required to agree to the anti-BDS clause, even if they have no interactions with Israel. The court found this to be “likely unconstitutional”. By changing who the law applies to, Leslie said Boyer’s bill could help the state win an appeal. Leslie said the new law would have “a better chance” of standing up to challenges, but it still would not entirely remedy the First Amendment issues raised. “The First Amendment issues will never fully go away when you try to limit types of activity like this,” Leslie said. He also wondered what would stop the legislature from enacting similar bills to prevent the government from working with companies that support abortion or other controversial issues. 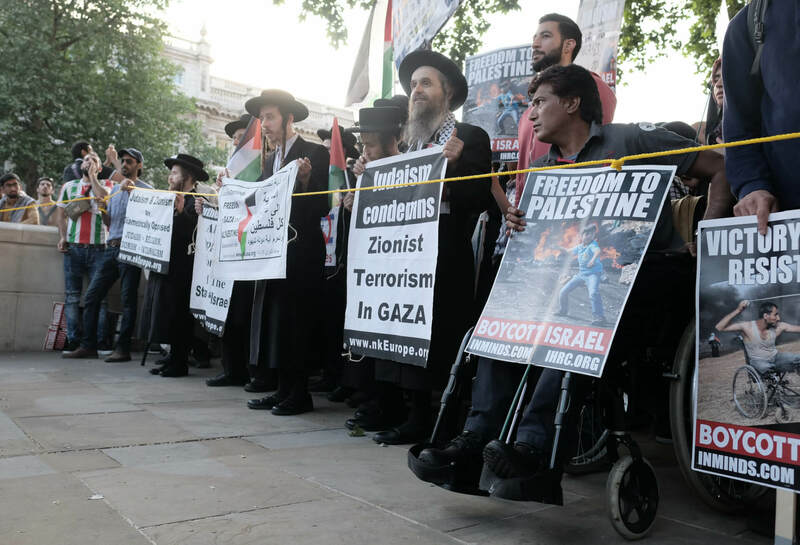 While Salman and other Democrats in the House argued that the bill could run afoul of the first amendment, Republicans said that the bill is aimed at preventing antisemitism. Rep. Jay Lawrence, R-Scottsdale, said that Salman and others were working from a “Google definition” of BDS. Lawrence said the reasoning behind the BDS movement is anti-Semitic. This feeling was echoed by Speaker Rusty Bowers, R-Mesa, who wanted to read comments by former Palestinian Liberation Organization leader Yasser Arafat, seemingly comparing the BDS movement to the PLO of the 1970s. Rep. Reginald Bolding, D-Laveen, attempted to stop Bowers from reading the quotes but was summarily shot down. However, Bowers did not end up reading the quotes. Rep. Daniel Hernandez, D-Tucson, supported the bill and urged both sides to step back with the “fiery” rhetoric. The bill passed on a 37-21 vote, and will now head to Gov. Doug Ducey’s desk. The governor can sign the bill into law or veto it.